people that are ill. Glutamine improves gastrointestinal health because it is a vital nutrient for the intestines to rebuild and repair, and provides protection from further damage; it improves IBS and diarrhea by balancing mucus production, which results in healthy bowel movements. 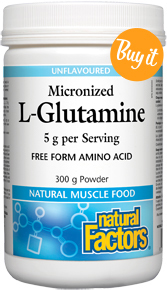 Glutamine supplements are most recommended when the body has been injured, after surgery, radiation and chemotherapy or if the body is under constant stress due to illnesses (digestive disorders). These are all times when the amount of Glutamine the body makes cannot keep up with the demand to heal. newly introduced particles can cause health issues such as food sensitivity, IBD, IBS, autoimmune diseases, chronic fatigue syndrome, inflammatory chronic diseases, thyroid problems and even skin conditions. This new permeability called “Leaky Gut Syndrome” can be caused by an unhealthy diet (low-fibre, high saturated fats, sugars and alcohol), over-consumption of Lectins (proteins found in un-sprouted grains), chronic stress, imbalances in the good and bad gut bacteria, fungal and bacterial infections, long term use of conventional NSAIDs and stomach acid-suppressing drugs. 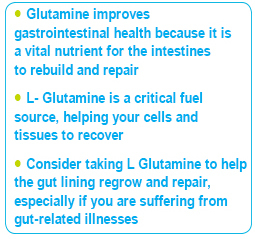 Consider taking Natural Micronized- L Glutamine to help the gut lining regrow and repair, especially if you are suffering from gut-related illnesses. If your immune system is compromised due to a recent injury, burns, surgeries, L- Glutamine is a critical fuel source, helping your cells and tissues recover. Glutamine is found in a variety of food, and a well-balanced intake makes sufficient amounts, if your body is not under duress, (eggs, beef, skim milk, tofu, white rice, corn,). Other products that should be considered as part of your health solution for Leaky Gut include, Natural Factors Curcumin, which can prevent chronic inflammation by controlling the inflammatory pathways which lead to tissue damage. Natural Factors Licorice Root (DGL only) is an apoptogenic herb that helps balance cortisol levels and improves acid production in the stomach. DGL supports the body’s natural processes for maintaining the mucosal lining of the stomach and duodenum. Quercetin (try Natural Factors BioActive Quercetin) has also been shown to improve gut barrier function by sealing the gut. 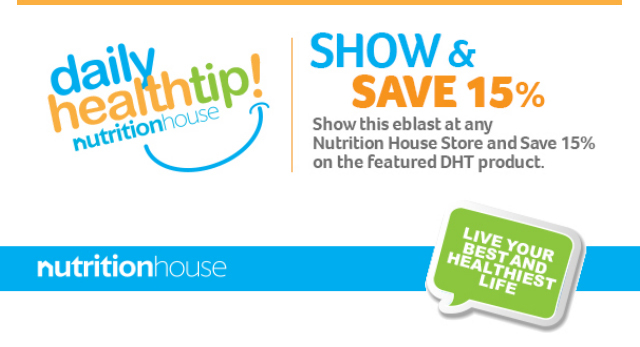 It also reduces the release of histamine, which is common in food intolerance. Be patient, stick with it and get back on the track of good health. 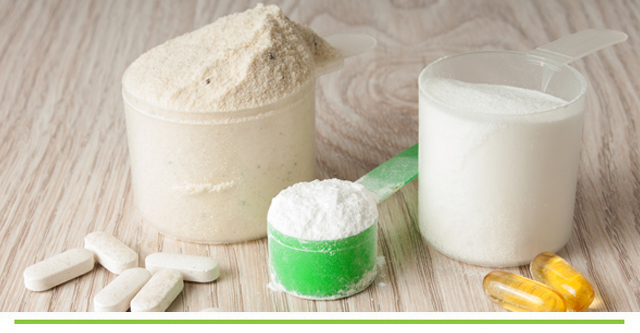 Do not stay on Glutamine for long periods (past the need for healing) as your body can become dependent on this amino acid and reduce your natural production.